The Camerons Original Stovetop Smoker brings smoke-cooking into the kitchen as a healthy way to infuse flavor without the use of fats, salts, oils, or added calories. 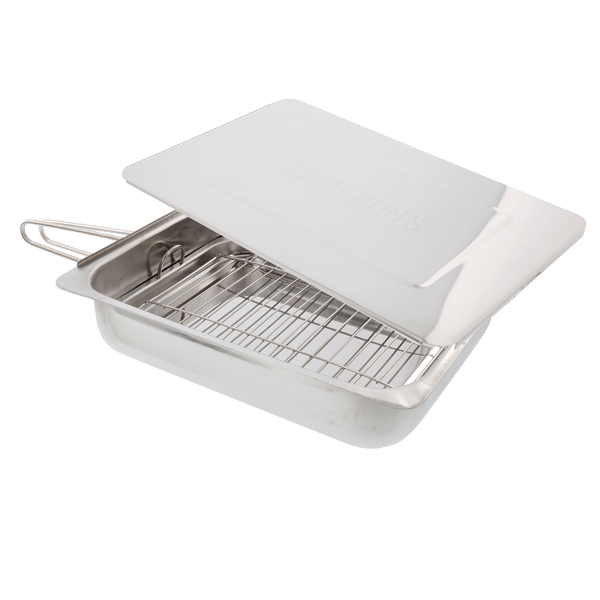 Retains moisture and natural cooking flavors so foods don’t dry out. Works well with all meat, seafood, and poultry dishes, even vegetables. Doubles as a steamer.